Today, I wake up a debt free man. What an amazing feeling to not owe anyone anything. In the past 24 months, I have had my financials on lock down. In that timeframe I have paid off $59,995 worth of school loans. I am certainly very proud of this accomplishment, but the point of writing this article is not to brag. I wrote it with the recent college grad in mind. I too was in your position not too long ago, and I hope this article gives other young adults the confidence and the blueprint to pay off their school loans sooner then they imagined. I also hope my younger brothers will read this so they too can be relieved from debt after college. Student loan debt is a very real thing for both parents and their new graduates. The average student in 2011 was $26,600 in loan debt upon receiving their diploma, up from $25,250 from the previous year. Let me preface this article by saying that I couldn’t have done what I did without a little bit of luck, support from my family, and a very understanding girl friend. I thankfully did not have any health issues, car troubles, or any serious set backs in the past two years. Knock on wood. My cell phone plan and health insurance were covered by my father, and my car was given to me as a graduation gift. That being said, I do not make $100,000 a year, either. I make just a bit more then the Massachusetts average income of $33,000. I work hard for my money, and I live simply. The numbers I’ve used in this article are my own, and they are real. I almost didn’t publish this article because talking about what one makes can be a very personal thing and rub others the wrong way, but in order to understand how I set my goals and where I am coming from, I think the numbers are necessary. Below are the rules I lived by to save what I did in such a short time making less then $50,000 a year. I don’t care how many times you’ve heard it: “there’s no substitute for hard work”. In the personal training business, you get paid by how many sessions you do. If you want more money, do more sessions. When I started at MBSC, I would train anyone, anytime, anywhere. I took every client I could. If the trash can needed to be coached, I would have coached it. Soon my schedule was full, and it had me up every morning for my first client at 5 am and I’d get home most nights around 8 pm. Want to be successful? Put in the hours, work six days a week, study your craft in your spare time, and wake up before everyone else you know. The four hour work week is bogus. I don’t know one successful person, who’s made a lot of money, that started out by only working four hours a week. 2. Save up for your first payment. After you graduate, there is usually a six month grace period before you have to make your first payment. In this six months time frame, I saved up as much as possible. Working two jobs, six days a week, I was able to put down $11,000 on my first payment. 3. Keep track of everything. 4. Read a finance book. To be honest, when I graduated from college, I had no idea what insurance I needed, what an IRA was, or how interest rates worked. Sad I know, but our current educational system doesn’t set our youth up very well for the real world and finances. I was never once schooled on any of this stuff. 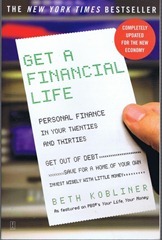 It doesn’t matter what book, just read one on personal finance. 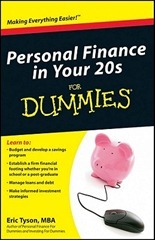 I read “Get a Financial Life: Personal Finance In Your Twenties and Thirties” and “Personal Finance in Your 20s For Dummies”. I highly recommend both. 5. Ask yourself do I really need this? Every time I buy something, I stop and ask myself: “Do I really need this?” Most of the time, the answer is “No”, and I simply just put it back. No second thoughts. I bet if you were to just stop and think for 30 seconds, you’d put back 50% of the things you would normally buy. Americans, especially my own generation, have a terrible habit of “spend money that we do not have, on things we do not need, to impress people who do not care”. Expensive clothes, shoes, computers, phones, data plans, and gifts. Luxury cars, vacations, dinners, & homes. Alcohol, cigarettes, Starbucks, & lottery tickets. I watch tons of my peers spending money on these things, which all add up to bite you in the end. Don’t be that guy or girl. These things won’t get us to our end goal. This is where logging everything that you buy paints you a very real picture of what you spend your money on and what you can eliminate so that you can direct more to your loans. 6. Buy a used car and pay for it in full. Cars can be one of your biggest expenses. If you buy a big fancy car, you are going to be stuck with a big fancy bill, along with big fancy insurance rates. My advice? Get a reliable car that can get you from A to B for under $5,000, and pay for it in full. No monthly bills, and lower insurance costs. 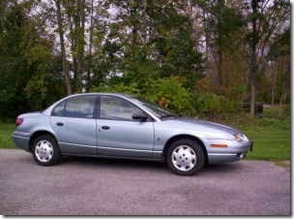 My 2002 Saturn, dubbed the “Silver Bullet”, was $4,000 paid in full. 82,000 miles, a radio, tires, and seatbelts. 7. 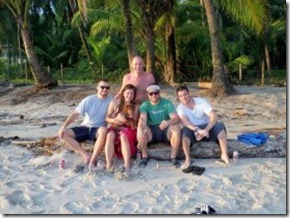 Live as close as you can to work & find other people to live with. Doing this keeps your expenses much lower then if you were to live alone or had a long commute. 1. Rent, utilities, cable and Internet, gas, and car maintenance are now all manageable. 2. You will never be scrambling for money if you find the right place to live and people to live with. Look around. Don’t settle on the first thing you see. Craigslist is the best I’ve found for finding cheap housing and other college age kids looking for roommates. I lived with five people 15 minutes away from work my first two years out of college. We paid $475 a month each for rent near Boston by doing this, and I filled up on a tank of gas only twice a month. If you have the option, not everyone does, live with others and live close to work. I can’t imagine what my living expenses would have been if I hadn’t done this. 8. Pay your bills on time and in full, don’t spend more then you have. In our age of credit cards and our “I’ll deal with it later” attitudes, this one has to make the list. It sounds so simple, but how many people actually do it? Each month, I know I must have enough money to do five things: pay rent, fill my stomach, drive my car, pay my credit card, and make my minimum loan payment. I will never spend more then what I have in my account. Surprisingly, this is not very common. 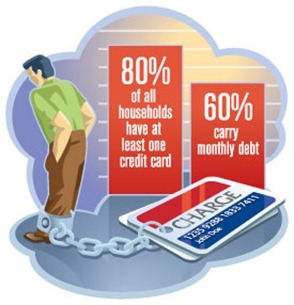 Most people rack up their monthly purchases on their credit card knowing they can’t pay it off and are then forced to eat the interest charges. If I don’t have the money already in my bank account for whatever I plan on buying, I won’t buy it. Plain and simple. 9. Put your tax returns right to loans. I took both my 2010 and 2011 tax returns and put them right towards loans. Tax return day is not a good reason to go out too the bar that night to celebrate or too hop in your car and go to Nordstrom’s. Take your tax returns and either save them or put them towards paying off your debt. 10. You can never overspend on health and education. You are nothing without your health. You only get one body. Wholesome foods, health care, and exercise will pay for themselves in the long run. I said to save your money, but I didn’t say too stop living your life! I try to get away from the grind at least once a month. To save, use Groupons, sleep on friend’s couches, buy people “experience” gifts instead of stuff they’ll just throw on a shelf in the basement, or travel with a group. 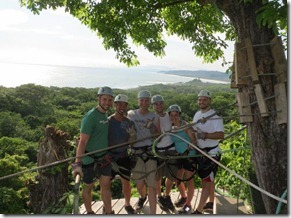 I took a trip to Costa Rica and I kept the costs low by going with five friends and staying in a Villa. It was one of the best weeks of my life, and in total it cost me a little less then a $1,000. I did a few different weekends in Maine and New Hampshire staying with friends, and one weekend I used a Groupon to stay at a B&B in Newport. I bought multiple people concert tickets & comedy shows as Christmas presents and went with them. To work optimally over time, you need intermittent stretches of down time to rest the body and the brain. These are just a few of the ways I’ve recharged my batteries without breaking the bank. 12. Crunch the numbers & make goals from them. The best approach to take is to work backwards using simple math. I knew my goal was to pay off my loans in two years. That means if my loans are $60,000 – $11,000 (1stloan payment)= $49,000/ 24 months= $2,040 a month. Then I knew my rent & utilities were about $550 a month, food was $300, gas and auto was $200, and personal expenses were $400 = $1450. $2,040 + $1450 = means I’d need to make $3,490 a month after taxes. That’s $872.50 a week, and $124.64 per day. From that, I then knew exactly how many personal training sessions I’d have to do every week and how many hours I’d have to work to make my monthly payments. Set a goal & work backwards. 13. Don’t waste your money going out to eat. Cook dinner at home and bring your lunch to work. You can make almost any meal you get at a restaurant for a quarter of the price at home, without the gratuity! Grabbing lunch somewhere every day, or going out to dinner a few nights a week gets real expensive, real quick. I may go out to dinner once or twice per month, and that’s stretching it. But when I do, you better believe I enjoy it! 14. Small Ideas Pay Big Dividends. Use grocery bags as trash bags; draw your own birthday cards; wrap presents with newspaper; drink tap water; cut your own hair (I have since sophomore year of high school); make your own coffee; buy all your books used on half.com (the words didn’t change right? who cares if its used); get rid of cable and get a Netfilx account (do you really need all those channels?). Small ideas like these save you pennies that add up over time. In the end, saving money is really about discipline and setting boundaries for yourself. I hope this article stimulates some of you to pick up a book and start recording your expenses putting yourself on the road too paying off your debts.